When planning your next trip to the commissary or exchange at Naval Base San Diego, also known as 32nd Street Naval Station, in California, be sure to visit MyMilitarySavings.com first to find the best deals all gathered into one handy site. We understand the complications that military life can present, making it difficult to find time to sift through tons of different sources for coupons, which is why we have worked hard to become the one-stop source for military discounts at bases around the world. That way, you can save money and time when you shop at the exchange or commissary, rather than having to sacrifice one for the sake of the other. What’s more, you can enjoy a custom, localized savings experience by setting Naval Base San Diego as your location on the My Home Base page. There, you’ll be able to see the hours of operation, phone numbers, and other information for your local commissary and exchange, as well as special savings and community details for your area. 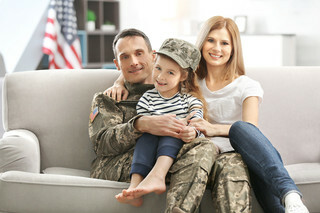 To learn more about the easy savings you can find for the San Diego NB commissary and exchange in San Diego, CA, enroll today at MyMilitarySavings.com.